I feel like hitting 110 was a lot less confusing than hitting level 120. Don’t get me wrong, I enjoyed the leveling experience in Battle for Azeroth just as much if not more so than Legion. It’s just…there is so much to do at max level. It’s almost overwhelming once you unlock World Quests. So I found myself kind of floundering once I got there — and I’m still floundering every time I log in. I think I’ve decided to just go back and finish out the last zone I was leveling in — I never finished Drustvar, and I’d like to see the completed quest line. No, I am not earning any experience, but I’m knocking out achievements and adding things to my transmog collection on top of devouring all that story. It might not be the most efficient use of my time, but just like in Legion, I’m not really involved in a raid guild. Getting geared up isn’t the highest of priorities. I do wish that perhaps endgame could get the same kind of treatment the leveling experience gets. 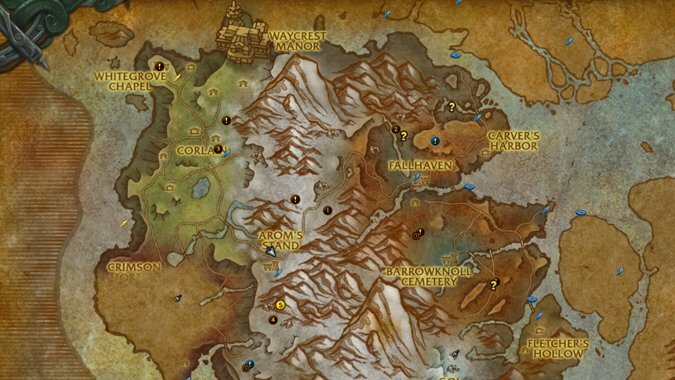 When you first arrive in Kul Tiras or Zandalar, you’re given a fairly straightforward path of places to go. It’s up to you to make the choice where, but you’re clearly presented with all three choices. If endgame had that same kind of pathing — something that pointed out what you could be doing, potentially, and laying out all those choices in front of you clearly — I think I’d find it a little less overwhelming. But that’s me — and I am doubtless a little more scatterbrained than the majority of you guys. What are your priorities when you hit max level? What do you jump on first? Do you immediately jump into World Quests, or start grinding gear for Mythic dungeons? Do you work on crafting and professions, or is there something else that takes priority? Reputation grinding? Pet Battles? I’m curious what you guys think is the most efficient to-do list for endgame — let’s hear it!